If you went to college in the 90s then chances are you probably spent your free time playing PlayStation, watched Friends in your dorm room on a Thursday night, listened to Nirvana or REM on your Walkman and you were all too familiar with the pain of dial-up. Anyone who went to college in the 90s will no doubt be well aware that technology has changed ever so slightly since they’ve shared a dorm room. Students nowadays have access to any piece of information they want whenever they want. They can access information from a laptop, tablet or mobile phone and they are no longer reliant on queueing up in the computer labs or attending college fairs to find information on schools they might like to attend. 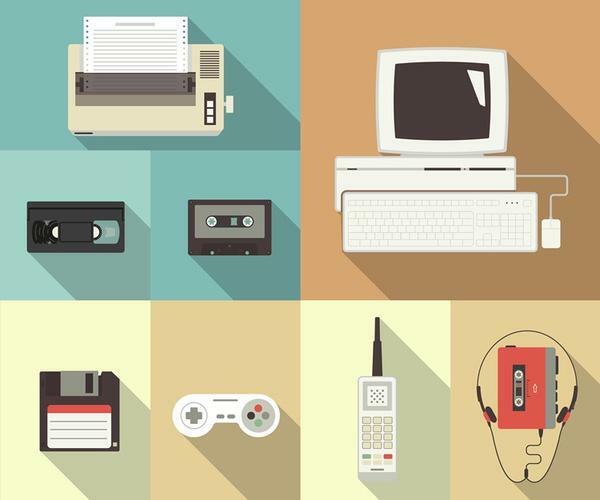 We’re taking a light-hearted look at 8 of the main technological differences between today’s students and students of the 90s. It’s these differences that have given rise to the need for online student marketing. Once there you then had to spend hours waiting for your webpages to load. Don't get us started on how utterly pointless Asking Jeeves was. Even if they did there was no internet access and it could only store about 8 short text messages. Students definitely weren’t complaining about how their university website wasn’t responsive! Instead you stalked your fellow students the old fashioned way using the class year book! And you used it to keep in touch with just about everybody you've ever met. You got sent stacks and stacks of college and university catalogs! And this is how you researched what colleges or universities you were interested in. Nowadays students find out about everything that’s happening around campus through events calendars, social media & email. What do you reckon, was it easier to market to students in the 90s or has technology made it a whole lot easier to reach and engage with your audience?